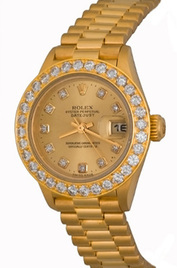 Rolex watches are known around the world as a symbol of luxury and style. 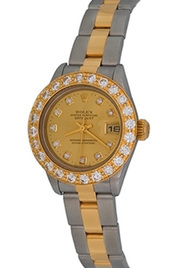 Rolex was founded in 1908 by Hans Wilsdorf of Germany. The company was initially named Wilsdorf & Davis (named for Wilsdorf and Alfred David, his partner and brother-in-law). At the time, Swiss watch manufacturers were mostly producing pocket watches because the science of producing accurate movements in miniature fittings (i.e. a wristwatch) had not been perfected. Wilsdorf was a perfectionist who improved the standards for watch making as he developed smaller, more accurate movements. These innovations eventually propelled the transition of style and fashion from bulky pocket watches to smaller, more practical timepieces that could be worn on the wrist. 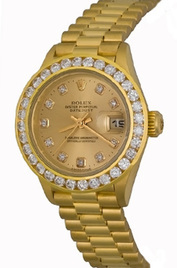 Rolex partnered with Aegler, a small Swiss company that supplied movements small enough to be worn on the wrist. In 1910, the School of Horology in Switzerland awarded the company the world's first wristwatch chronometer rating. Wilsdorf had focused on accuracy and reliability when developing his watches. The Chronometer Award highlighted the accuracy of his time pieces, and so Wilsdorf began to focus on improving reliability. He developed a screw crown and casebook mechanism that revolutionized the watch industry. 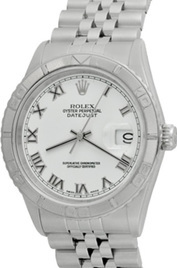 This innovation directly addressed the common problem of dust and moisture entering the watch case via the crown. 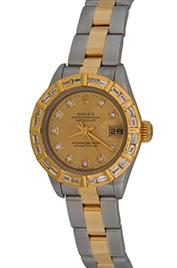 Soon after, the company developed the world’s first waterproof watch, the Oyster, featuring a revolutionary double-locking crown that screwed down on the case like a submarine hatch. A skeptical public did not accept the innovation until aggressive advertising included watched submerged in shop window aquariums. 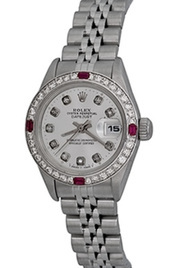 The name was given further credibility when Mercedes Gleitze swam across the English Channel wearing a Rolex Oyster. When Gleitze completed her journey, the Oyster was shown to have kept perfect time while underwater. Since the very first days of the company, Rolex has been consistently produced quality watches, a tradition that continues today. 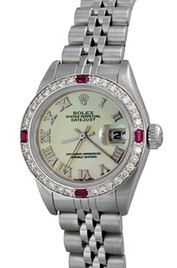 In 1928, Rolex introduced the Prince, a best seller featuring a dual dial and rectangular case. 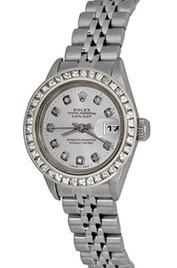 The Rotor was introduced in 1931 and featured a semicircular plate of metal that would move by gravity to wind the watch – this marked the introduction of the Rolex perpetual movement. In the late-1960s, Rolex created a stainless steel, manual-wound watch for Paul Newman. The Cosmograph Daytona was named when the actor donned one in the 1969 racing film “Winning.” The Paul Newman featured a flashy dial with oversized indexes and wasn't an immediate success. In the mid-1980s, however, a new interest in the watch prompted the company to introduce a re-launch. 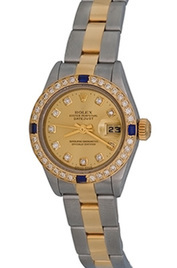 The updated Daytona was introduced in 1991 and it replicated the original built-in stopwatch. 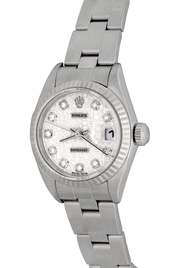 Wingate’s is proud to offer a selection of renowned Rolex watches for men and women including: Cellini, Datejust, Daytona, Masterpiece, Presidentand Yacht-Master. 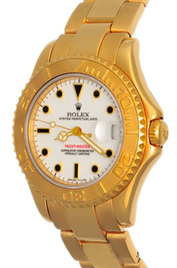 As a universal symbol of style, class, and quality, Rolex watches have graced the wrists of movie stars, business executives, professionals, and anyone else interested in possessing one of the most highly-regarded wristwatches on the market. 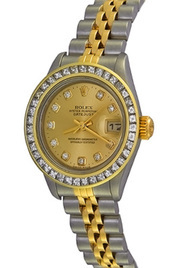 A Rolex watch is not just a timepiece. It is a precision instrument; it is an extension of the wearer; it is a statement about who you are when you slip it on in the morning. 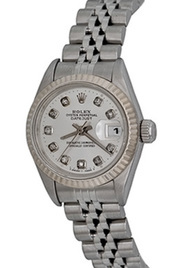 But you don't have to be a movie star or a high-powered executive to wear a Rolex. 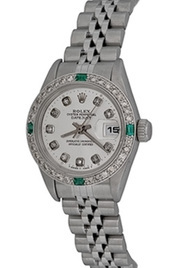 Purchasing a Rolex watch has always been an investment as well as an acquisition. It is a way to treat yourself well, and like a piece of fine jewelry, a way to acquire a timeless item of value to last a lifetime and pass onto your heirs. What do you give a loved one to show how much you care? The dollar amount spent is of course less important than the fact that you have put a great deal of thought into finding just the right item that suits their personality and makes a statement about your relationship. 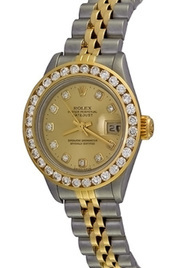 Giving a fine Rolex watch as a gift makes that statement. 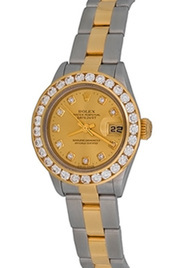 And as a timepiece created to last a lifetime and beyond, a gift of a Rolex keeps giving day after day, as your loved one continues to enjoy it for the rest of his or her life. As a gift for a man, a Rolex watch makes a strong statement of confidence, and as a gift to a woman, a beautiful Rolex means commitment, faithfulness and admiration. And as a corporate gift to a trusted and valued executive, nothing in the world says "job well done" like a gift of a Rolex. 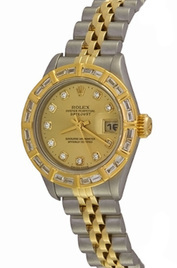 The designs available for men present Rolex watches as the ultimate reflection of the wearer's style and masculinity. As a timepiece built to the highest level of precision and accuracy, it makes a strong statement about how a man approaches the world, and the level of quality he demands from it. 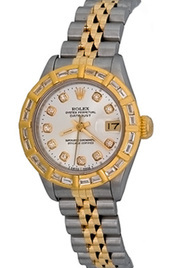 A glimpse of a Rolex just below the cuff tells the world that you've arrived. 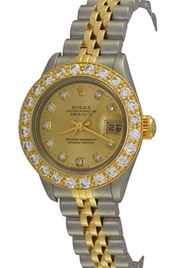 Beyond being just a timepiece, a man's Rolex is the ultimate piece of manly jewelry that reflects just the right amount of subtle style and sense of success. Women's designs reflect the ultimate in elegance and fashion. 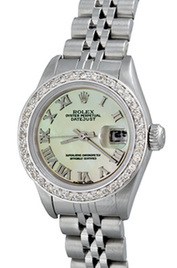 The subtle designs and simple beauty of a ladies Rolex make the perfect complement to any outfit, day or night. 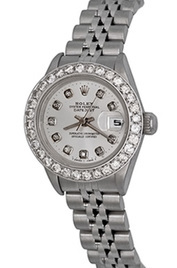 Mother-of-pearl and diamond highlights add just the right amount of "something extra" so that it enhances the wearer's other jewelry, rather than outshines it. 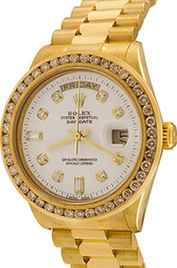 A Rolex keeps its value over time, and there has always been a vibrant marketplace for used Rolex watches. 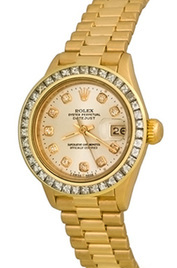 Purchasing a second-hand Rolex watch can be an excellent way to acquire one of these fine timepieces at a reasonable price. 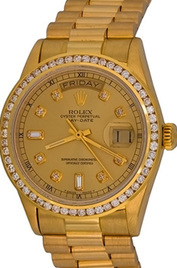 And because it does represent quality and status, owners of Rolex watches do tend to preserve them well, take care of them and keep them like new. 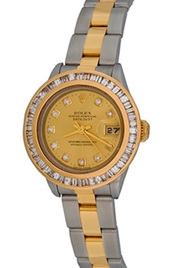 Most used Rolex watches for sale from Wingate's Quality Watches are spotless, free of flaws and nicks, and in as-new condition. 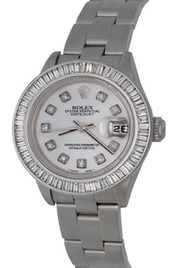 Used Rolex watches for sale should be purchased from established dealers with a good reputation, as counterfeits do exist. 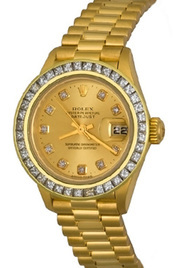 However, it is usually easy to spot a counterfeit Rolex under close examination. Some of the common hallmarks of a counterfeit include the absence of the small gasket under the crown, or the presence of elaborate engraved casebacks. 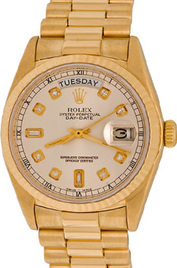 Most true Rolex watches have smooth casebacks.